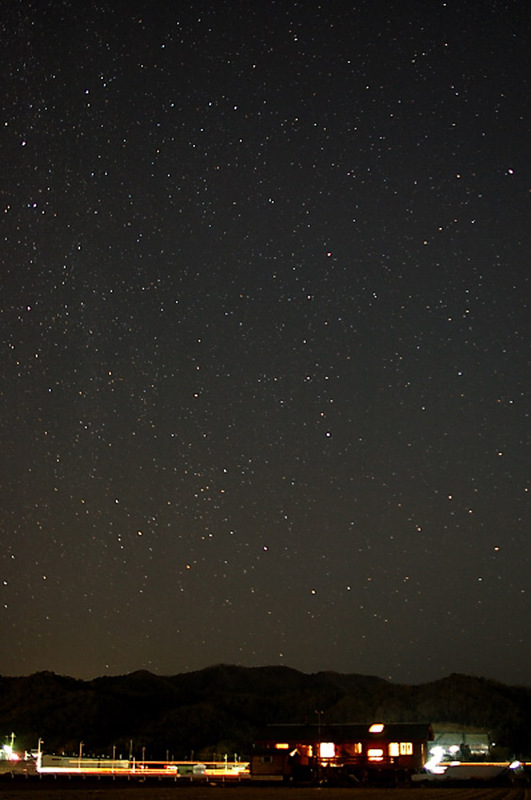 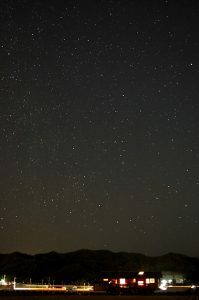 I have made a two day trip in Hhogo prefecuture to visit four private observatory sites of my clients. 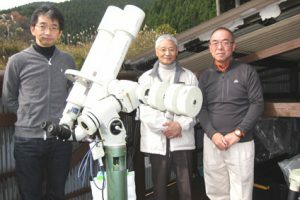 The group’s ovservatory headed by Mr. Osugi. 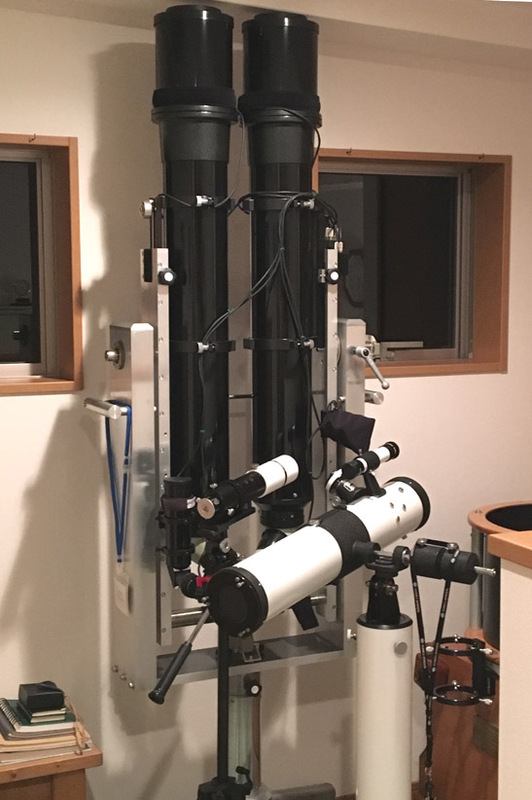 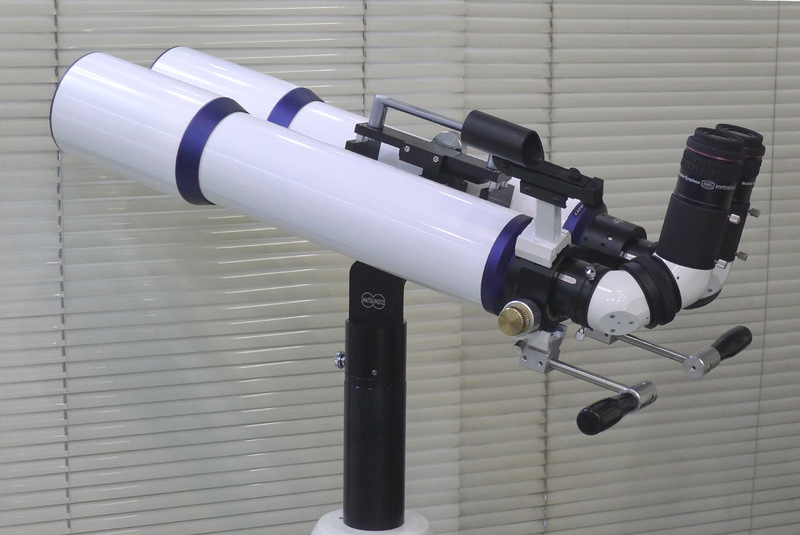 The main scope is the FS102-BINO on EM-200(Takahashi) equatorial mount which was taken over from me several months ago. 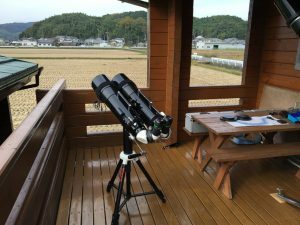 Another important purpose of this trip is to see Coo, I parted with six years ago. Yes, Mr. Ogawa is the step-keeper of him. 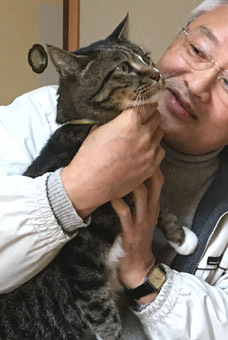 I was very happy to see Coo who seemed to remember me in spite of the long term of no see. 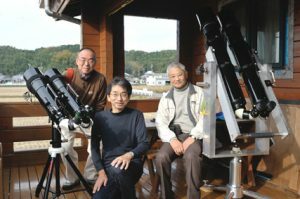 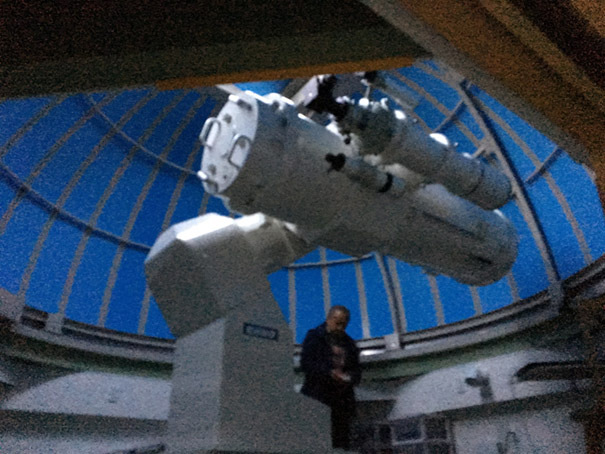 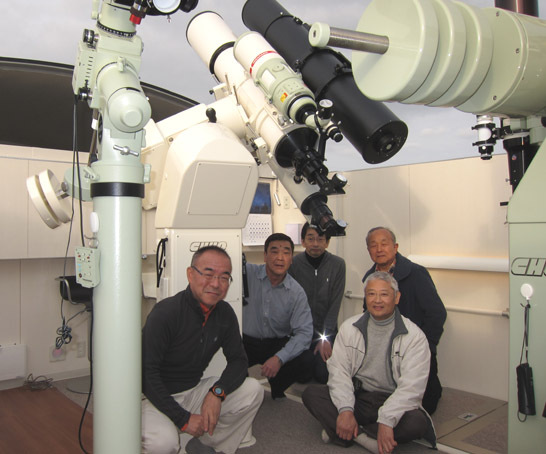 Dr. Okamura’s sliding roof was full of fabulous telescopes as you see. 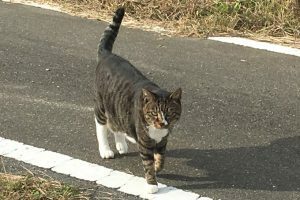 He is a user of my EMS-UL for the single use. Mr. Ogawa keeps a 4-meter dome,40cm Newtonian on equatorial, and a slinding roof respectively. 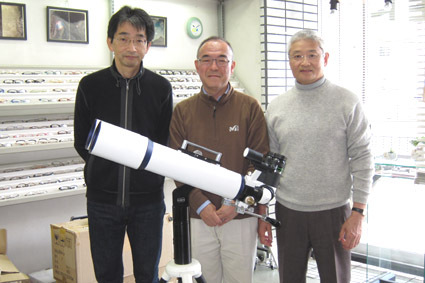 Mr. Yamamoto is the owner of the old 15cm-F8-BINO and the new 15cmF5-BINO.